John Fairfax was born in Barford on the 24th of October 1804. He was the second son of William, (1763 – 1834) and Elizabeth, (1779 – 1861) Fairfax. For centuries the Fairfax family had been prominent landowners in Barford. The family were much praised by the famous and learned Rector, Thomas Dugard, in the late 17th century but then his daughter did marry a Fairfax son. The Registers of St. Peter’s Church, Barford go back to 1538 and there was a Robert Fairfax baptised on the 27th September 1545. There are numerous entries for the family, in the birth, marriage and deaths in the Parish Registers, until the early 19th century, when it appears the family sold or lost their lands as at the time of John’s birth his father William was in the building trade. 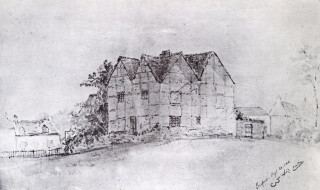 The old Fairfax Manor House stood in Church Street, near where the Memorial Hall and Community Shop are today. 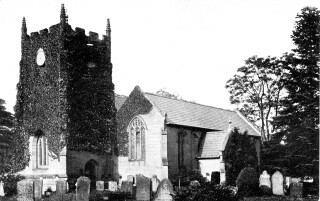 It is believed it was demolished in the late 19th century. Fairfax Close is named after the Fairfax family. John Fairfax came from, to quote a 19th century article in the newspaper he founded, The Leamington Courier; ‘good old puritan stock, brave of heart, sound and robust, intelligent, transparently honest and unswerving in obedience to high moral principal’. John left school, aged 12, and was apprenticed to William Perry, a bookseller and printer in Warwick. In 1825 he went to London and worked on the ‘Morning Chronicle’. Returning home in 1826 he set up as a printer and bookseller in Leamington. On the 31st July 1827, John married Sarah Reading, of Leamington Priors, at All Saints Church. She was aged 19. The witnesses were James Reading and J. Broomhall. In August 1828 John joined in partnership with the James Sharps, senior and junior, in their cavernous and cold printing rooms at Wise Street in Leamington, to publish the Leamington Spa Courier. This partnership did not last long; it was dissolved on the 20th of December 1828. The problem seems to have been that the Sharps were of conservative political opinion and John Fairfax was a liberal. Fairfax then set up as a printer, bookseller and stationer at 37, Bath Street, Leamington. The family home of John and Sarah and their growing family was in Gloucester Street. Never happier than when serving his customers, in his shop himself, his business thrived. He was a leading member of the Congregational Church in the town. In 1833 John Fairfax published ‘Fairfax’s new guide to Leamington Spa and its environs’, perhaps one of the first tourist guides to Warwickshire. Journalism was obviously important to him and from April 1835 until June 1838 he printed and published another newspaper, ‘The Leamington Chronicle and Warwickshire Reporter’ at Bath Street. An article he published in this paper in 1836 caused an action for libel to be brought against him by a local solicitor. Fairfax won the case but the cost of his defence left him penniless. This resulted in him being declared bankrupt in the London Gazette on the 24th of February 1838. He decided to emigrate to Australia. With his wife, three children, mother and brother-in-law he sailed on the Lady Fitzherbert, arriving in Sydney on the 26th September 1838. He was the classic emigrant; he disembarked with £5 in his pocket. He found work as a compositor. On the 1st of April 1839, he was appointed librarian of the Australian subscription library. He soon met Charles Kemp and together they purchased, with loans, the Sydney Herald for £10,000, from a Mr Stokes. Kemp and Fairfax continued to operate successfully as partners until 1853, when Kemp decided to retire. John Fairfax visited Leamington and Barford in 1853 and paid off all his debts with interest. 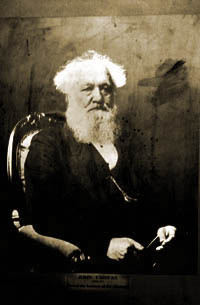 During this visit he delivered a lecture on ‘The Colonies of Australia, their formation, progress and present state and the discovery of the gold fields’. This encouraged more people from the area to emigrate. He returned to Sydney, Australia from his visit having learned of new printing methods and the newly named Sydney Morning Herald went from strength to strength. The death of his eldest son, Charles, in 1863, greatly affected John. He again visited England with his wife Sarah in 1865. He was appointed to the New South Legislative Council in 1874. His interest in the Congregational Church continued in Australia. 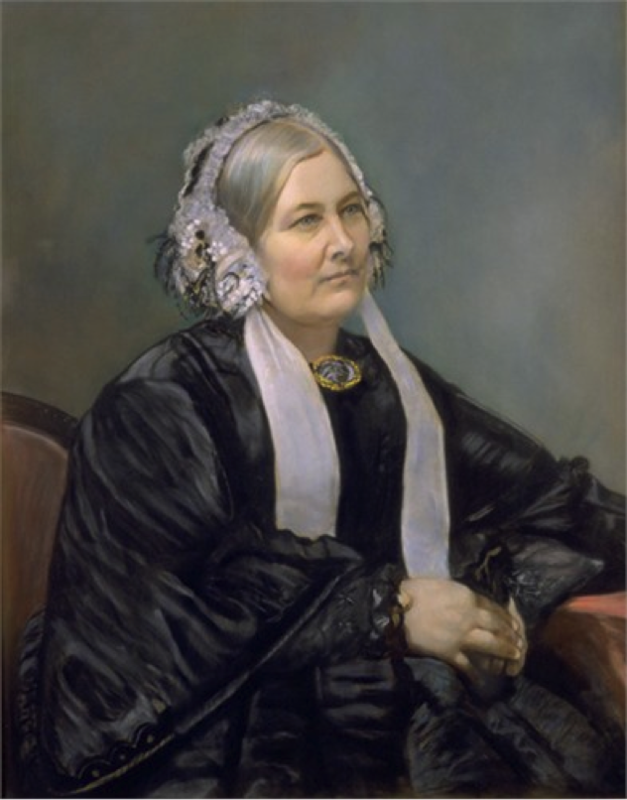 Sarah died in 1875. John died at his home in Bellevue Hill on the 16th of June 1877. His home was then called ‘Ginahgulla’ but there is a Fairfax family home, there now, named Barford House. The Fairfax name continues to be used by a large media empire in Australia and the Sydney Morning Herald is one of the most well-read and respected newspapers in Australia. An amazing legacy for a boy, who left school in Barford, aged 13 in 1816! References: Registers of Births, Deaths and Marriages, St. Peter’s Church, Barford, held at Warwickshire County Record Office. Ancestry.co.uk. Leamington Spa Courier, 175 Anniversary Special. Kelly’s Directories. Directory of National Biography of Australia, Volume 1 – 20. British Newspaper Library, archive online. Reminiscences of Barford residents. Glimpses of our local past – J.C. Manning. Barford Heritage Group Archives. A McDermott, Wikipedia, Shakespeare Birthplace Trust, Library and Archive, Stratford upon Avon. This page was added on 20/09/2014. Thank you to who ever wrote this page about my ancestor and ancestral home. My youngest daughter is named Sarah, my eldest Jane. i am a published author. I am really pleased you enjoyed the article about John Fairfax and his Barford roots. If you ever visit Barford please contact us and we will be happy to give you a tour of our beautiful village and point out where the Fairfax family home was located. There are many mentions of the family in the registers of our church. If you ever decide to write a family history we would be happy to help.